Law Web: How rule of damdupat is applicable to suit for recovery of money? How rule of damdupat is applicable to suit for recovery of money? This Section is based on the rule of damdupat. The rule of damdupat is a branch of Hindu law of debts. According to this rule, the amount of interest recoverable, at any one time cannot exceed the principal. Where a suit has been instituted to recover a loan, the rule of damdupat ceases to operate. The result is that though the Court is bound to apply the rule of damdupat up to the date of the suit, it is free to award interest to the creditor at such rate, as it thinks proper from the date of the suit, up to the date of decree or payment upon the total amount that may be found due to the plaintiff after applying that rule. The rule of damdupat does not apply to interest recoverable in execution of a decree. The reason is that the rule ceases to operate after the suit. The principle of this section applies not only to a suit brought by a creditor, but also to a suit for redemption brought by a mortgager. 25. This rule of damdupat now finds a statutory recognition in the Karnataka Money Lenders Act, 1961. Section 26 of the said Act provides that notwithstanding anything contained in any agreement or any law for the time being in force, no Court shall in respect of any loan whether advanced before or after the date on which the Act comes into force decree, on account of interest, a sum greater than the principal of the loan due on the date of the decree. Thus, this rule of Hindu Law has been incorporated in the said Act in respect of the loans advanced by money-lenders. N. Kumar and B. Manohar, JJ. 1. This is the defendants' regular first appeal against the judgment and decree of the trial court decreeing the suit of the plaintiff as prayed for, directing the defendants 1 to 5 jointly and severally to pay a sum of Rs. 18,52,310/- with interest at 23% p.a. from the date of the suit till the date of decree and interest at 18% p.a. from the date of decree till the date of realization. 2. For the purpose of convenience, the parties are referred to with respect to their position in the original suit. 3. The plaintiff has been carrying on his business in Mangalore under the name and style M/s. Shet & Co. The 1st defendant is a partnership firm, of which defendants 2 to 4 are the partners; 5th defendant is the GPA holder of defendants 2 to 4. As could be seen from the averments in the plaint, the following amounts were lent by the plaintiff to defendant No. 5. Thus, in all, an amount of Rs. 11,20,000/- is the principal amount advanced by the plaintiff to the defendants. The defendants executed separate On Demand promissory notes in favour of the plaintiff agreeing and undertaking to repay the respective amounts together with interest thereon at 23% p.a. The 5th defendant mortgaged the immovable property more fully described in Schedule 'A' of the plaint by deposit of title deeds enlisted in the 'B' schedule. The 5th defendant by letter dated 12.08.1997 confirmed the said deposit. The defendants made payment of only Rs. 80,000/- and thereby committed default. The cheques issued by the defendants for repayment of the amounts was returned 'dishonoured'. Therefore, the plaintiff also launched criminal prosecution against the defendants under Section 138 of N.I. Act after issuing statutory notice. When the outstanding amount remained unpaid, the plaintiff filed the suit for recovery of Rs. 11,20,000/- and interest of Rs. 7,32,310/- at the rate of 23% p.a. on Rs. 11,20,000/- from 25.11.1999 up to 26.09.2002, in all, a sum of Rs. 18,52,310/-. 4. On service of summons, the defendants entered appearance. Defendants 3 and 5 filed a detailed written statement contesting the claim. They denied all the allegations in the plaint, they denied the promissory notes, issue of cheques, deposit of title deeds and execution of confirmation letter and sought for dismissal of the suit. "1. Whether the plaintiff proves that the 1st defendant firm represented by its partners defendants 2 to 4 through their General Power of Attorney holder defendant No. 5, also in his individual capacity as co-obligant had availed a sum of Rs. 6,75,000/- on 12.08.97, by executing on Demand Promissory Notes dated 12.08.97 for Rs. 5,00,000/- and Rs. 1,75,000/- respectively in favour of plaintiff and agreed to pay interest thereon at 23% p.a.? 2. Whether the plaintiff further proves that the said defendants also availed further loans in a sum of Rs. 1,50,000/- on 10.09.98, a sum of Rs. 75,000/- on 03.11.98, a sum of Rs. 1,00,000/- on 04.12.98 and a sum of Rs. 2,00,000/- on 28.09.99 by executing Demand Promissory Notes of the said respective sums in favour of plaintiff and agreed to pay interest on the sums lent at 23% p.a.? 3. Whether the plaintiff further proves that the 5th defendant had validly given the plaint 'A' schedule property, as mortgage security by depositing the 'B' schedule mentioned title deeds in favour of the plaintiff? 4. Whether the plaintiff further proves that on 28.09.99, the 5th defendant for self and as General Power of Attorney holder of 1st defendant firm represented by its partners defendants 2 to 4 executed the letter of confirmation of balance sums payable to the plaintiff and assured payments of the cheques issued by way of repayments? 5. Whether the suit is barred by Money Lenders Act? 6. Whether the plaintiff is entitled for the reliefs sought for? 7. What order or decree?" 6. The plaintiff, in order to substantiate the claim, examined Mr. G.R. Shet as PW-1 and one Sadashiva Padubidri as PW-2 and produced 40 documents which are marked as Exs. P1 to P40. On behalf of defendants, 5th defendant was examined as D.W. -1 and no documents were produced or marked for the defendants. 7. The trial court on consideration of oral and documentary evidence on record and hearing the arguments of learned counsel for both the parties, held that the plaintiff has proved the loans advanced by him to the defendants. He also proved the execution of demand promissory notes. It also held that the plaintiff has proved that the 5th defendant validly mortgaged plaint 'A' schedule property by depositing 'B' schedule title deeds. It also held that the plaintiff has proved execution of the confirmation letter dated 12.08.1997 executed by 5th defendant. It held, the suit is not barred by Money Lenders Act, as the plaintiff possessed a valid money lending licence. It also held that the plaintiff is entitled to interest at the rate of 23% p.a. from the date of the suit till the date of decree and 18% interest from the date of decree till the date of payment. 8. Aggrieved by the said judgment and decree of the trial court, defendants 1 to 3 and 5 have preferred this appeal. Interim stay, subject to the condition that the appellant pays the principal amount plus the equal amount towards interest less the amount deposited in Section 138 proceedings under the provisions of the Negotiable Instruments Act". 10. It is submitted by learned counsel for the appellants, instead of depositing the amount in terms of the interim order, the appellants issued a cheque for the said amount and the respondents duly encashed the said cheque. This fact is not disputed by learned counsel for the respondents. 11. The learned counsel for the appellants, assailing the impugned judgment and decree, contended that the Court committed an error in awarding interest which is in excess of the principal amount and the same is in contravention of Section 26 of the Karnataka Money Lenders Act, 1961. The defendants have paid by cheque the principal amount and interest equal thereto as per the orders passed by this Court while granting interim stay and therefore they have fully satisfied the decree. The Court ought not to have granted future interest at 18% p.a. but could only be 6% p.a. 12. Per contra, the learned counsel for the respondents submits that the amount paid by the defendants to the plaintiff is not a loan under the Money Lenders Act, 1961 and therefore, the Act itself is not attracted. If the Act is not attracted, question of complying with Section 26 of the Act would not arise. Insofar as future interest of 18% is concerned, he submits, it is commercial transaction and agreed rate of interest is 23% p.a. In fact, the court below committed no error in awarding 23% interest and therefore, he submits, no case for interfering with the future interest awarded by the court below is made out. "(i) Whether the limitation imposed under Section 26 of the Karnataka Money Lenders Act, 1961, on the court to award interest is applicable to a loan to a trader when the "loan" defined under the Act does not include the loan to a trader? (ii) Whether award of interest at 18% from the date of decree till realization passed by the court below, calls for any interference?" 14. The Karnataka Legislature, in order to make better provision in the matter of regulation and control of transactions of money lending, has enacted the Karnataka Money Lenders Act, 1961, Karnataka Act No. 12 of 1962, which came into force from 01.04.1965. By subsequent amendment to the Act, in particular, Section 11 of the Act, an embargo is cast on the power of the court to pass a decree in favour of a money lender, unless such money lender possesses a money lender's licence either at the time when the loan was granted or any part thereof, to which the suit relates was advanced. Therefore, as the law stands today, the money lender cannot maintain a suit for recovery of the loan advanced, unless he possesses a valid money lending licence. (iii) a loan by a landlord to his tenant for financing of crops or seasonal finance of not more than fifty rupees per acre of land held by the tenant;"
16. From the aforesaid provision, it is clear that if a money lender advanced loan to a trader or to a money lender, who holds a valid licence, or to a tenant for financing of crops of not more than fifty rupees per acre of land held by the tenant, the Act is not applicable; the money lender need not possess valid licence for recovery of the said amount on the date of filing of the suit or on the date the loan was advanced. 17. Relying on this provision, it was contended by learned counsel for the respondents that the plaintiff admittedly is a money lender; he possessed valid money lending licence, but the loan is advanced to a trader and therefore, the Money Lenders Act is not attracted and that being the case, question of applying Section 26 of the Act too would not arise. 18. This argument though looks attractive, on a closer scrutiny has no substance. Because, Clause (i) referred to supra, expressly states "except for the purposes of sections 26 and 28". If this expression was not there, then the Act would have no application when a loan is advanced to a Trader. But, what the provision provides is that, notwithstanding the fact that a loan to a trader would not fall within the definition of "loan" under the Act, the provisions contained in Sections 26 and 28 are attracted to such loans to a trader by a money lender who possess valid money lending licence. "26. Power of Court to limit interest recoverable in certain cases.--Notwithstanding anything contained in any agreement or any law for the time being in force, no Court shall in respect of any loan whether advanced before or after the date on which this Act comes into force, decree, on account of interest, a sum greater than the principal of the loan due on the date of the decree." "28. Limitation on rates of Interest.--(1) The State Government may from time to time by notification fix the maximum rates of interest for any local area or class of business of money-lending in respect of secured and unsecured loans. (2) Notwithstanding anything contained in any law for the time being in force, no agreement between a money-lender and a debtor for payment of interest at a rate exceeding the maximum rate fixed by the State Government under sub-section (1), shall be valid and no Court shall in any suit to which this Act applies award interest exceeding the said rates. (3) If any money-lender charges or receives from a debtor interest at a rate exceeding the maximum rate fixed by the State Government under sub-section (1), he shall, for the purposes of section 39, he deemed to have contravened the provisions of this Act." 21. Section 28 of the Act confers power on the State Government to fix the maximum rate of interest for any local area or class of business of money-lending in respect of secured and unsecured loans. Sub-section (2) of Section 28 starts with a non-obstante clause. Whatever may be the agreement between the parties for payment of interest, the interest payable is, what is fixed by the Government by way of a Notification and no court shall, in any suit to which this Act applies, award interest exceeding the said rate. If a money lender receives interest in excess of maximum rate fixed by the Government, sub-section (3) of Section 28 gets attracted. Then it would amount to an offence under Section 39 of the Act. 22. It is in the above background, Section 26 makes it clear, notwithstanding anything contained in any agreement or any law for the time being in force, no court shall in respect of any loan, decree, on account of interest, a sum greater than the principal of the loan due on the date of the decree. 23. Thus, under the provisions of the Act, the rate of interest recoverable by a money lender is prescribed. The money lender is under obligation to recover only that interest prescribed by the Government. Any recovery in excess of the said amount is contrary to Section 28 and becomes an offence under Section 39 and punishable. Section 26 prescribes an outer limit for maximum interest that a money lender can recover from a person to whom he has advanced loan. In other words a money lender should never expect more than the principal amount advanced, even if a claim is put forth under an agreement, or under any law. The non-obstante clause found in Section 26, makes it clear that notwithstanding anything contained in any agreement or any law for the time being in force, the court is precluded from passing a decree insofar as interest is concerned in excess of the principal amount. Therefore, though the loan to a trader does not fall within the definition of the "loan" as found in Section 2(9) of the Act and that provision of the Act is not applicable, expressly Sections 26 and 28 of the Act has been made applicable to such loans. 24. This Section is based on the rule of damdupat. The rule of damdupat is a branch of Hindu law of debts. According to this rule, the amount of interest recoverable, at any one time cannot exceed the principal. Where a suit has been instituted to recover a loan, the rule of damdupat ceases to operate. The result is that though the Court is bound to apply the rule of damdupat up to the date of the suit, it is free to award interest to the creditor at such rate, as it thinks proper from the date of the suit, up to the date of decree or payment upon the total amount that may be found due to the plaintiff after applying that rule. The rule of damdupat does not apply to interest recoverable in execution of a decree. The reason is that the rule ceases to operate after the suit. The principle of this section applies not only to a suit brought by a creditor, but also to a suit for redemption brought by a mortgager. "7. It may be mentioned that the purpose of the Act was to prevent the malpractice of oppression by money-lenders to take advantage of people's poverty. 8. 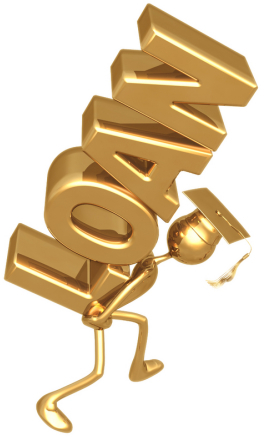 In the money lending business the object of the money-lender is to earn interest on the loan he has advanced. In the present case the object of advancing the loan by the appellant was not to earn interest thereon but to ensure the regular supply of areca nuts. Though, no doubt, interest at the rate of 18 per cent per annum was charged on these loans yet that was not the principal object of advancing the loan. 9. In business various methods are adopted by a businessman for ensuring the smooth running of his business. Very often, one of the methods is that the businessman advances money to his supplier of goods to ensure that the supplies are regular and are made to him rather than being diverted to other parties. There is nothing illegal in this practice and it is widespread. 10. When we construe the provisions of the Karnataka Money Lenders Act we must see the object for which it was made and we have to adopt the purposive construction. 13. In view of the above discussion we are of the opinion that a purposive interpretation has to be given to the definition of money-lenders. From this angle the appellant could not be said to be a money-lender as he was not really doing the business of money lending in the strict sense but was only advancing loans to secure the regular supply of areca nuts." 27. What follows from the judgment is, when a money lender advanced loan to a trader, the object of advancing loan was not to earn interest thereon. Therefore, it was said, person lending money cannot be considered as 'money lender' and he need not possess a valid money lending licence for advancing the loan. The object is to ensure money advanced to the businessman is invested in the business and the person who lends money gets promptly his share of profit by way of interest. If that is the object of keeping the loan transaction to a trader outside the purview of Money Lenders Act, it is unthinkable that when he commits default, the interest payable could be more than the principal amount. Precisely, that is why the Legislature has introduced Sections 26 and 28 of the Money Lenders Act which is made applicable to money transactions that fall within the definition of "loan" under the Act and also the loan which is outside the scope of loan by a money lender. "So far as the first point raised by learned counsel is concerned, it appears to us that it is totally misconceived, because the language of Section 17 of the Act plainly justifies the view taken by the High Court. Section 17, in prescribing the maximum amount of arrears of interest to be allowed, refers to "the principal of the original loan" and not "the principal of the loan". If the latter expression had been used, it could have been argued in the present case that the sums of Rs. 20,000/- and Rs. 24,000/- which purported to be the principal amounts of the two loans evidenced by the two mortgage-deeds in suit, were the principal amounts of the loans to be taken into account in working out the maximum amount of interest permissible under Section 17 of the act, The expression "the principal of the original loan" makes it clear that, in determining the maximum amount of arrears of interest allowable, the Court must got behind the transaction of the loan and find out what was the actual cash originally advanced as principal and ignore all interest that may have been added subsequently to that original advance in order to make up the consideration for the loans in suit. In the present case, therefore, the High Court was justified in looking at the transactions prior to the two mortgage-deeds to find out what were the actual cash amounts originally advanced which together with interest and after adjustment of accounts, formed the principal amounts for the two mortgage-deeds. It was admitted by counsel for both parties before us that the figures accepted by the High Court as the principal amounts of the two loans are correct, if the original cash advances are treated as the principal amounts of the original loans. It is, therefore, clear that, on the plain language of Section 17 of the Act, the High Court was right in holding that the aggregate of the principal amount of the original loans was only Rs. 37,971.50 P and not Rs. 44,000/- and, consequently in awarding arrears of interest only to the extent of the same amount and not a larger amount. On the second question, we are unable to agree with the view of the High Court that the arrears of interest mentioned in Section 17 of the Act mean interest calculated up to the date fixed for redemption. At the same time we are also unable to accept the submission made on behalf of the appellants that the arrears of interest in this section mean arrears of interest up to the date of the suit. It is to be noticed that the section is in the form of a directive to a Court not to pass a decree on account of arrears of interest for a sum greater than the principal of the original loan. This language clearly gives an indication of the intention of the Legislature. Obviously, the directive is to be carried out by the court at the time of passing the decree and, consequently, it would at that time that the court will see how much it is awarding for arrears of interest. The maximum prescribed for the arrears of interest must, therefore, be held to be the maximum amount in respect of interest payable up to the date of the decree when the court carries out the directive laid down in this section. In the present case, the trial court passed the decree on the 27th March, 1952, and, consequently, the amount of Rs. 37,971.50 awarded as arrears of interest must be the arrears of interest due up to that date. The High Court, in our opinion, was not correct in holding that these arrears of interest will cover interest due up to the date fixed for redemption by the High Court". 29. From the aforesaid judgment of the Apex Court, it is clear that, the court is under an obligation to find out under Section 26 of the Act, what is the total amount of interest it is awarding on the principal amount and ensure that the interest so awarded is not in excess of the principal amount due on the date of the decree. However, the Apex Court has made it clear that, the interest to be so calculated is from the date of borrowing up to the date of decree. The court should not take into consideration the future interest from the date of the decree. If the suit is decreed for the principal amount and equal amount of interest on the principal amount and still the defendant fails to comply with the decree, he would be liable to pay interest for the period subsequent to the date of decree. 30. Admittedly in this case the total interest payable in terms of the decree is in excess of the principal amount due. To that extent, the decree is liable to be set aside. 31. Now, it is submitted that defendants have already paid the principal amount plus equal amount of interest, the question of enforcing the decree would not arise. However, if the said amount is not paid immediately on passing of the decree, there is delay and the defendants are liable to pay interest at 18% from the date of decree till the date of such payment i.e., interest at 18% on the principal amount plus equal amount of interest from the date of the decree i.e., 26.11.2011 till the date of payment i.e., 08.05.2015. The High Court registry shall draw up the decree only to that extent. "(i) The appeal is allowed in part. (ii) The High Court registry shall draw up the decree in terms of the judgment."